GOT divers donned costumes for the annual Halloween party for Aquarium members known as Fish, Fun and Fright on Friday, October 28. Per usual, the creative juices were flowing and we had a really eclectic cast of characters in the tank this year. Check it out! Anna the lady pirate, argh! Oooooooh. Jack-o-lanterns submerged in the tank are a big hit with the members as well as the tropical fish that like to nibble on the tasty pumpkins! Mike as Skeletor and the lady pirate make their way to the top of the Giant Ocean Tank. 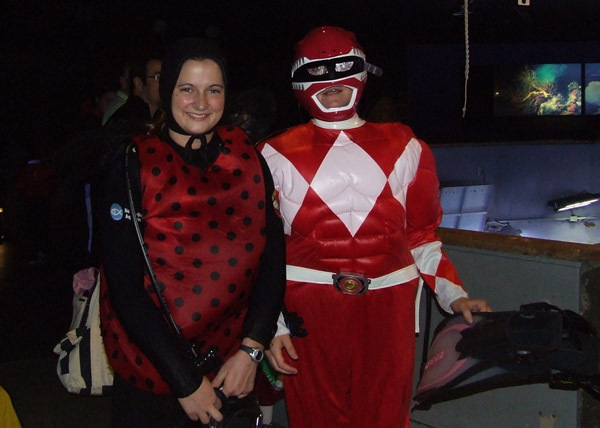 Christine the lady bug and Liz the Power Ranger, ready to jump in. 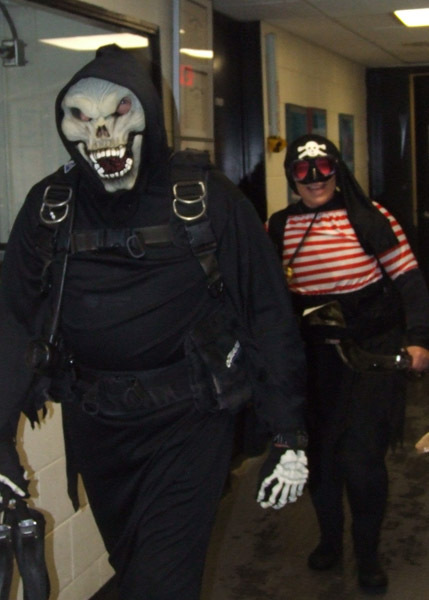 Happy Halloween from the New England Aquarium's Giant Ocean Tank divers!